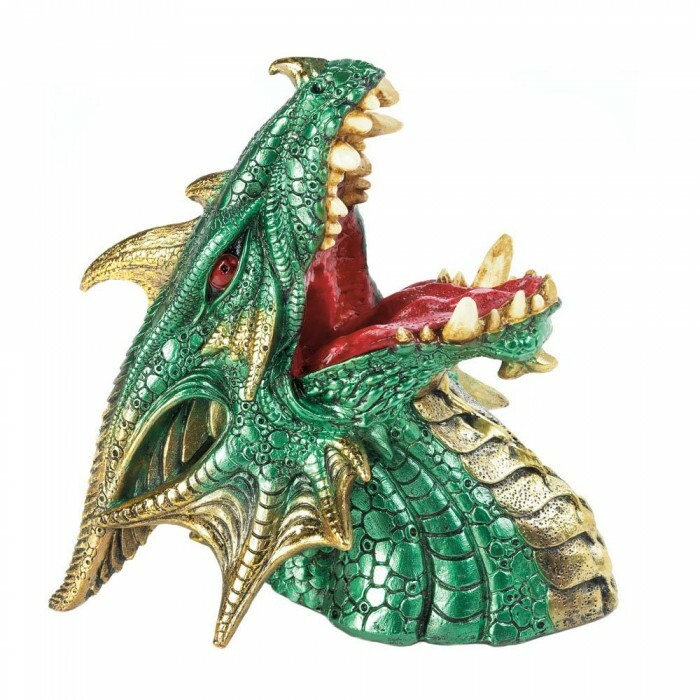 This cool polyresin wine bottle holder is a finely detailed dragon head, complete with green and gold scales, horns, and deep red eyes. 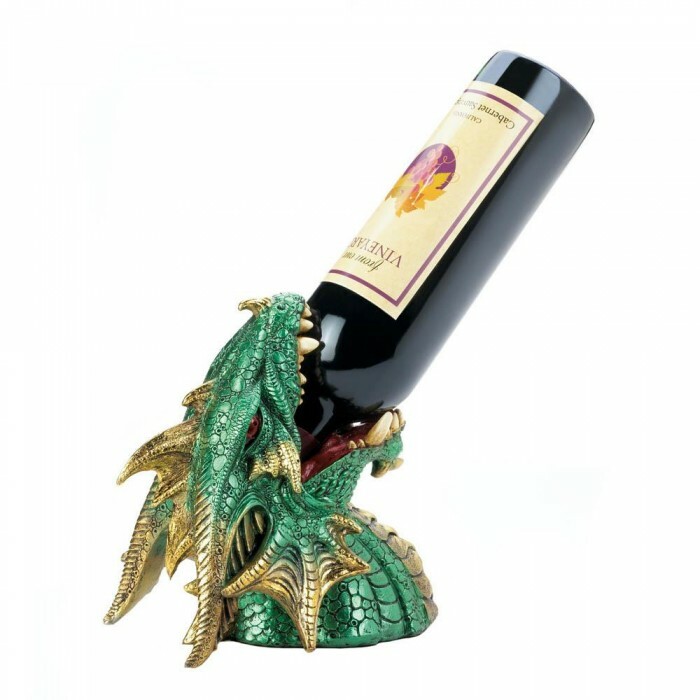 Place it on your counter or bar and add a standard bottle of wine, neck first. 7.25" x 5.5" x 8"